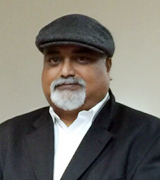 A cogent personality, vividly knowledgeable, and extensively deep in networking, Mr. Murali Kuppa is rightly designated to the coveted post as Head of Retail Placement Network to en mark and oversee and establish a 1,000-member strong Placement Agent Network for the Group across the world in US, UK, Middle East, India, Singapore, Malaysia, Japan and Australia over the next 3 years that would help the firm solidly penetrate Foreign Individual Investors & NRI Retirement Assets as "Foreign Portfolio Investor" [FPI] accounts for distributing company introduced structured financial products as well as of third party institutions globally. Murali is also deeply specialized in project management, investment consulting, fixed Income & structured product distribution, energy, commodities, equities, distressed asset solutions and emerging markets. He previously served as Director of Fixed Income, Derivatives and Income Fund at Fidelity Investments. Global management and economics from Harvard Business School and project management from Cornell University. 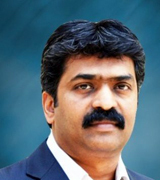 Mahesh is a strategic investor for various companies and manages operations in those companies as well. Armed with passion about new technologies, markets, sectors and its use in everyday life, Mahesh has evolved to be a startup enthusiast, helping companies in early stage to capitalize the opportunity and derive appropriate valuations. Well rounded experience in managing complex projects and programs involving multiple stakeholders across various worldwide geographical locations. 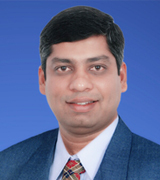 Mahesh holds an B.E in Computer Sciences and Masters in Public and Personnel Management. As Chief of Staff Surya collaboratively works with the Group's GOH, CEO and CAO and as their internal face in the organization. Carrying this critical responsibility, he builds a strong, trusting partnership across the group handling all internal communication flow as well as external representation of top leadership before third parties - clients, partners, and affiliate leads etc. He strategically advises the leadership effectively setting priorities for them for an optimized decision-making and composes and manages correspondence that deals highly sensitive matters. Additionally Surya also manages board and leadership travel arrangements; organizes meetings and conferences, and maintains media relationships. Innovative problem solver with more than 20 years' of experience and as a mentor for mid level managers, Surya continues to excel and inspire organizational spirit for achieving excellence. With strong leadership skills, recognized expertise that he gained as Vice President at SAP SE in building organizations and teams globally that provided solutions to customers, Surya aptly fits into this extremely challenging 24/7 job handling. Hands on in nature, he was also a founding member for 2 consulting startups.